Anyways, Mom and I spent one Saturday making the easiest pumpkin wreath! 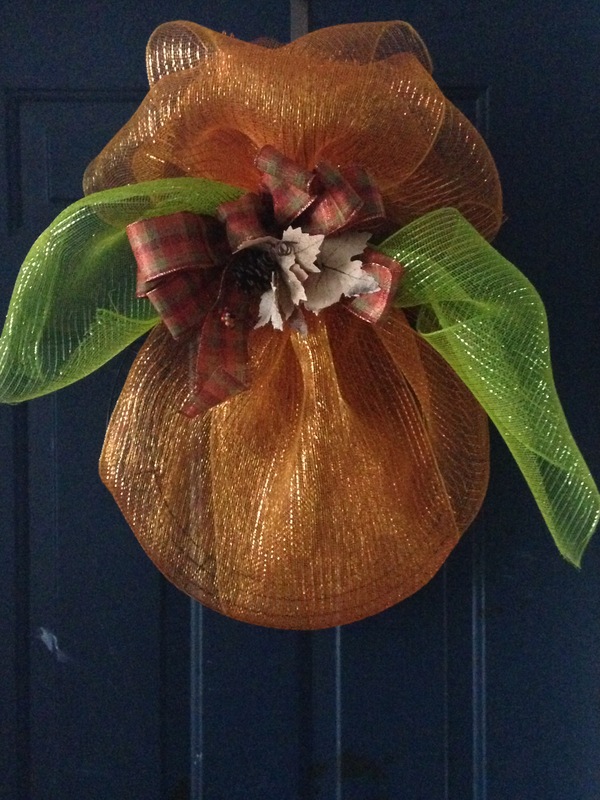 All you need is orange and green deco mesh, a wire wreath and ribbon! 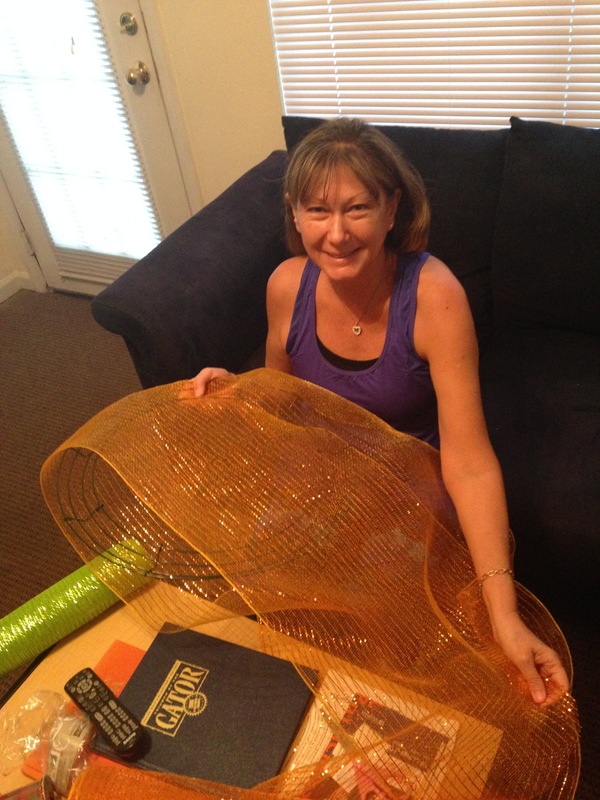 The first step is to wrap the orange deco mesh around the wire frame so that it looks like a pumpkin. It’s easier to start at the bottom and wrap the mesh upwards as if you’re wrapping a wine bottle and tying at the top. 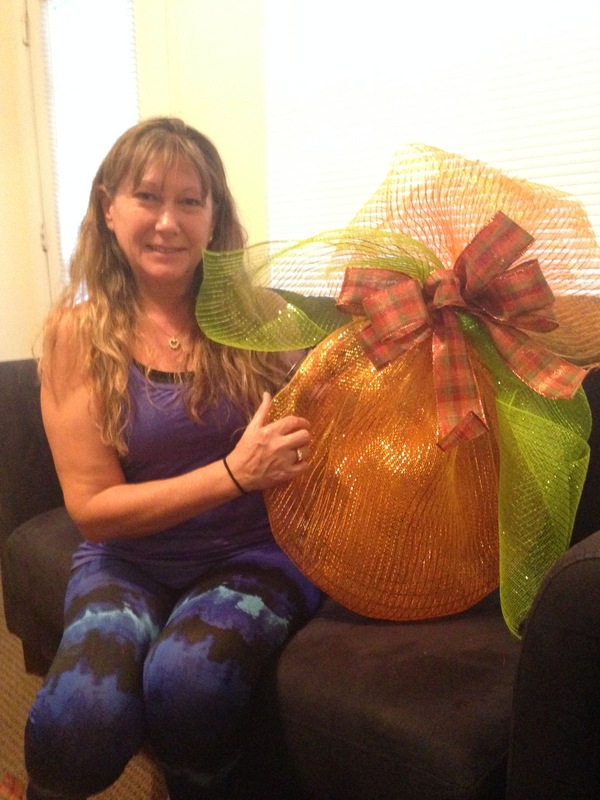 Once you have it wrapped, take the green mesh and tie it around the top to resemble a leaf. 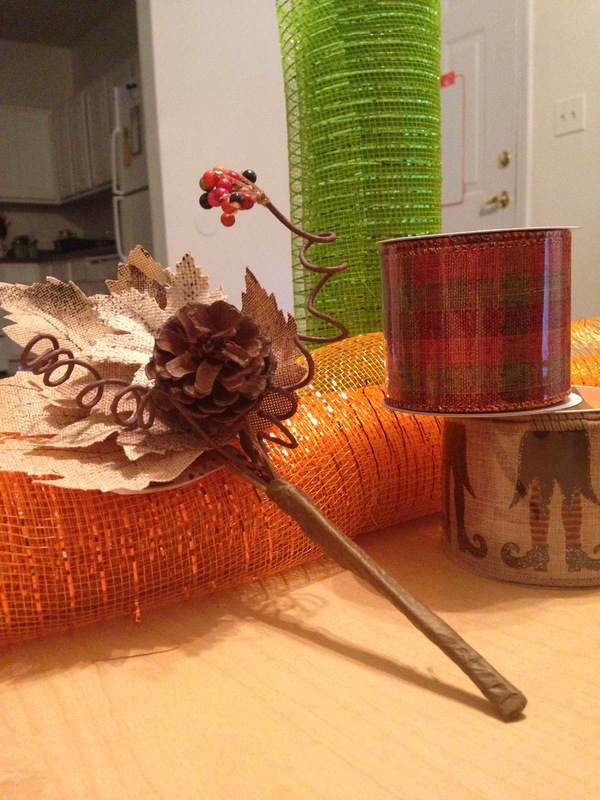 Then embellish your wreath with ribbon, fun fall decorations and such. For Halloween, we’ll trade out the plaid ribbon with the fun witches’ ribbon in the picture above. 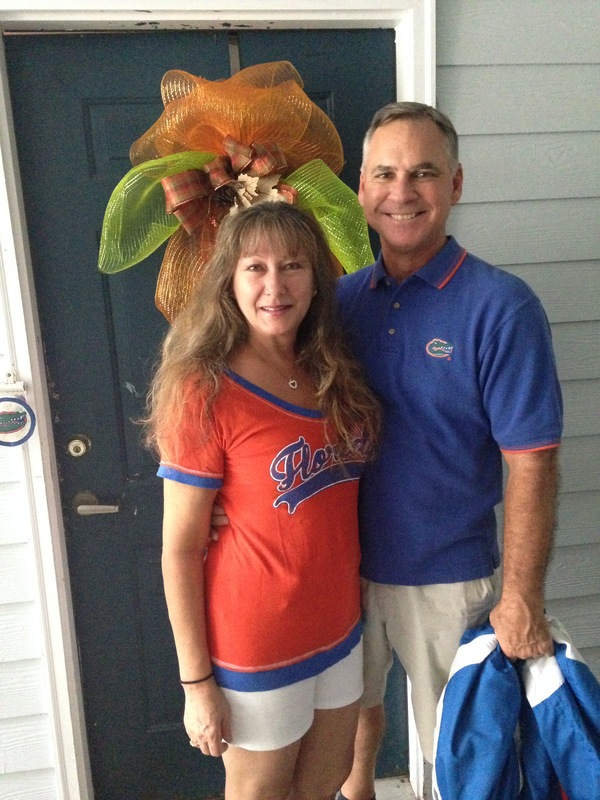 And yes, my mom is the crafting guru so she’s the one who made this wreath. I believe she got the idea from her sweet friend, Kim. Each year I like to make different kinds and this one took us less than 10 minutes to make, which is always a good sign to me! Less is sometimes more, and in this case it was perfect!